USB Devices seem to be everywhere you look now, from the MP3 Player all the way through to a weird cup warmer. However, they all seem to suffer from the same problem. This is the fact that every so often a message will pop up which says ‘USB Device not Recognized’ and of course this means that it isn’t going to work at all. How do you fix this? Let us explain. If you are greeted with this error the first thing you will want to do is to unplug the device followed by a complete restart of your computer. When the computer has fully loaded up again you should plug in the device. The majority of the time this will actually solve the problem, so you can give yourself a little pat on the back! If it doesn’t then there are a number of solutions that you can use to look into this in more depth. The next thing you are going to want to do is to swap over the USB Cable. 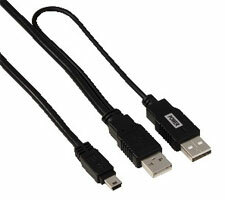 Sadly, cables from time to time do diminish in quality and swapping them over may be the thing that you need. Again, like the first problem this should work for you and you may not need to do anything else. If it doesn’t however, the problem may be much more deep rooted. Firstly, try the device out on another computer. If it works or is recognized then that is great, this problem is easy to fix. If it isn’t recognized however then you may have a faulty device which needs replacing. Of course, the replacement of it is out of the scope of this guide. If it works but still doesn’t on your computer then use the final step which should kick into gear. The final solution will be to look to see whether the USB drivers are corrupted or not. If you tried the previous solutions then there is a good chance that there is a problem within your computer. In case you didn’t know, drivers are small bits of software which basically tell the device what to do when it is hooked up to the computer. Like most other software, problems can occur from time to time, thankfully however, the software developers often fix problems quickly. However, you won’t get these updates automatically. 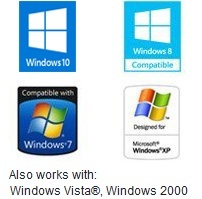 Instead you would need to use software such as Driver Turbo to find the right drivers for your computer and install them – Click Here To Download DriverTurbo) RECOMMENDED. It is never recommended that you get the drivers yourself as you don’t want to get something that is completely outdated as this will make the problem much worse. Hopefully the information in this guide is going to help you eradicate those pesky USB Driver Problems once and for all! The best part is, the software I mentioned should help you with almost any problems that happen on your computer in the future, whether they be related to drivers or not.